A Mouseketeer Shows Up for Dinner! If it hadn't been for a well-placed coffee table, my surprise dinner guest would have turned my kitchen into a Disney amusement park and tapped danced through every nook and cranny of my home. In fact, this dinner guest wasn't interested in the dinner menu or enjoying small talk over a glass of wine. To make sense of this story, we have to back up to where it all started at a bank parking lot. You see, my mother-in-law was the real invited dinner guest and was on her way to our house from her job at the bank, when she soon discovered a stowaway had set up a Mickey Mouse Club right inside her car. A flashback to the children's show it was not and this Mouseketeer didn’t show up for roll call either. In a panic, my mother-in-law called to say she'd be a little late for dinner as a mouse had decided to take up residence inside her car. Not to mention, it wasn't even close to being as cute as a Mouseketeer and had about as much song and dance talent as Elmer Fudd. Not being able to chase out the whiskered hitchhiker, she had no choice but to get in her car and drive. Her plan was to make a pit stop at her local auto shop to de-varmint her car from any looming Mickey Mouse mayhem. You can imagine the hesitation you'd feel driving across town knowing a mouse was lurking somewhere beneath your feet or, worse yet, riding shotgun without a moment’s notice. 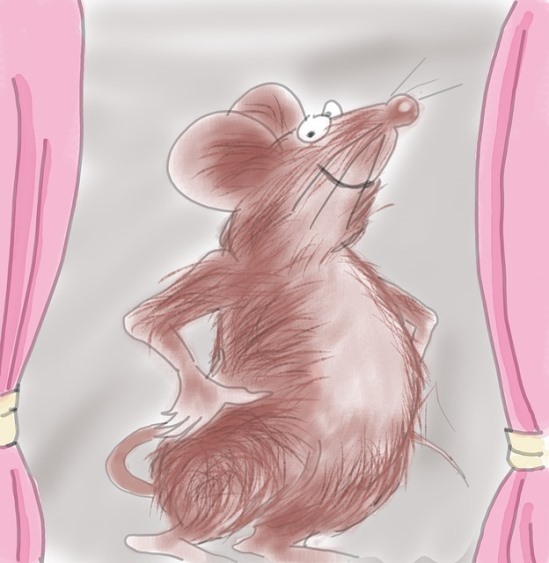 When my mother-in-law arrived at our house an hour later a little shaken and rattled, she dumped her belongings in a hurried haste and proceeded to tell her titillating tale of the mouse gone rogue in her car. No doubt, we were all “ears” when she explained that the mechanic at her loyal auto shop had searched high and low for Mr. Mouseketeer. Not even the promise of a good talent agent could reel this pesky rat out. "I think your mouse has left the building," the auto mechanic exclaimed. Still a little suspicious she wondered if this mischievous rat really did escape. I guess it's possible it ran off to Paris to become a French chef and change his name to Ratatouille. Nah! That’s only in the movies. So, believing in her mechanic, she took his word for it and continued on her journey. No sooner had she finished her mouse story and the great escape, when we heard a pesky nibbling at our kitchen wall. Let me just say, this Mouseketeer didn’t have nearly the resemblance to Annette, Bobby, or Cubby and, for you younger folks, not Britney or Justin either. In fact, through my eyes, this wasacally rodent was huge, hairy and had claws the size of Shere Kahn scratching at the wall. "That's it, there it is!" How in Looney Tunes did it end up in my kitchen? One striking clue was an overturn purse on the table with remnants of scavenged mints inside. 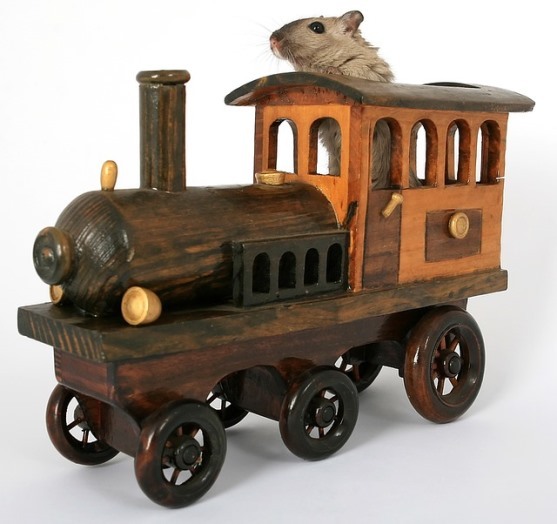 This would entice any Mouseketeer wanting to hitch a ride on the candy train. His destination wasn't Paris, but right here...in MY kitchen! How a sneaky mouse piggybacked undetected inside a purse is still a mystery. Knowing we had to wrangle this Mighty Mouse, it was my husband's quick thinking to grab the coffee table from the other room to block off the kitchen entry. This runaway rodent wouldn't be slipping through again! With the courage of a real Musketeer, my hubby swiftly snatched up a broom to corner the sneaky critter into submission. No amount of thrilling stunts could save him now. With one sudden thrust of the broom, it was curtains for this Mickey Mouse show! The room fell silent in disbelief, which followed by a sigh of relief. Tonight, there'd be one less guest for dinner and one less Mouseketeer with a shot at stardom. "Th-Th-The, Th-Th-The, Th-Th...That's all, folks!" 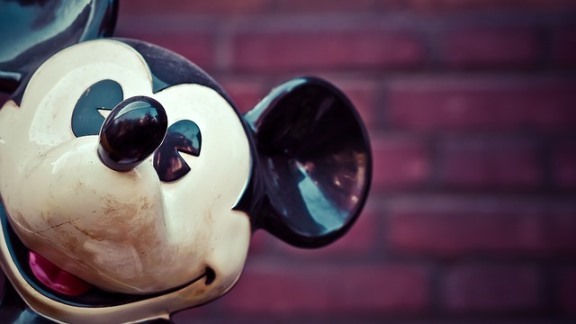 Have you had an uninvited "Mouseketeer" show up for dinner? I know...squirming and shivers were on high octane that evening. I can't even imagine what my mom-in-law may have felt knowing a mouse was creeping right next to her. JEEPERS! Haha! In your kitchen! Oh my gosh! What are the chances... all too funny. I hope you had a glass of wine and a hardy chuckle after!